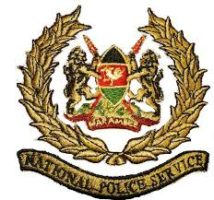 The National Police Service Headquarters Information Resource Centre is operational under the Directorate of Reforms. In line with Government Internship Policy, the Commission intends to offer internship opportunities to qualified youth in the area of Human Capital Management to accord them an opportunity to gain practical work experience which will improve their competencies and competitiveness in their career life. The internship program aims at providing the youth an opportunity for on-the-job experience to build upon skills learned at school and for professional development hence, enhance their employability. In this regard, the Commission seeks to recruit qualified youth for these positions. Thirty (30) internship opportunities in Human Capital Management (HCM) only. Qualifications Bachelors Degree from a recognized institution in Human Resources Management or any Social Science field with a diploma in Human Resource Management Be unemployed Kenyan aged between 20 and 34 years Must not have benefited from a similar program Not retired or exited from formal employment Must have completed their training and graduated with documentary proof of qualificationOther Requirements Other requirements the successful interns will be required to have in line with the internship policy and guidelines for the Commission are as follows; – Valid certificate of good conduct Personal accident insurance cover for the internship period Copy of Pin certificate National identify card (ID) or copy of passport Two (2) colored passport size photos Duration of internship The above positions are on a six (6) months renewable contract. The individuals recruited shall be of high integrity and must satisfy the requirement of leadership and integrity set out in Chapter six (6) of the Constitution of Kenya. How to Apply Applicants are required to fill NPSC internship application form which can be downloaded from the NPSC website (www.npsc.go.ke) and submit together with detailed curriculum vitae, copies of academic and professional certificates so as to reach the address shown below by the close of business on or before 19th March, 2018 at 5.00 p.m. COMMISSION SECRETARY/CEO NATIONAL POLICE SERVICE COMMISSION WESTLANDS, SKYPARK PLAZA BUILDING, 5TH FLOOR P.O. BOX 47363-00100 NAIROBI Please note: Only those shortlisted will be contacted. The Commission does not guarantee employment after completion of the internship program. Canvassing directly or indirectly will result to disqualification. Gender, ethnicity, disability and regional balance consideration will be applied in the selection process. Programme Officer – Kenya Location: Nairobi, Kenya Application closing: February 25, 2018 Interpeace is a non-profit international peacebuilding organisation that works in close partnership with national partner organizations and the United Nations with the aim of building lasting peace. Interpeace has a two-fold mandate: (i) to strengthen the capacities of societies to manage conflict in non-violent, non-coercive ways by assisting national actors in their efforts to develop social and political cohesion; and (ii) to assist the international community (and in particular the United Nations) to play a more effective role, in supporting peacebuilding efforts around the world, through better understanding and responses to the challenges of creating local capacities that enhance social and political cohesion. The Interpeace Regional Office for Eastern and Central Africa (ECA) is based in Nairobi, Kenya. Position to be Filled Interpeace is seeking to fill the position of the Programme Officer – Kenya, based in Nairobi but with frequent travel to, and within, Mandera County. The contract duration is until 31 December 2018, with the possibility of extension. The candidate must be a team player with a spirit that is both creative and flexible; have a commitment to inclusiveness and consensus building; be confident, tactful, demonstrate participatory skills and cultural sensitivity; have an ability to work effectively and adhere to deadlines with minimal supervision; show capability to solve problems, prioritize and follow up; demonstrate a solid understanding of current political, economic, social conditions and historical context of the East African region; demonstrate an ability to obtain, analyze and act on large amounts of programme information from diverse range of sources; have excellent research skills. Period: Until 31 December 2018, with possibility of extension Scope of the position The Programme Officer is a member of the Kenya Programme Team and will report to the Kenya Programme Coordinator. S/he wil also collaborate directly with other Interpeace ECA Programme Officers in charge of the respective programmes. The Programme Officer shall: lead the Kenya programme’s business development, proposal development, implementation of programmatic and administrative functions of the programme on the ground and support coordination with local Interpeace partners, the National Cohesion and Integration Commission (NCIC), and donors. coordinate the daily operational programme of NCIC and Interpeace peacebuilding efforts in Kenya, starting with the Mandera Peacebuilding Programme, which is jointly implemented by the NCIC and Interpeace. Overall, a strong collaborative and horizontal approach to programme coordination, delivery and reporting will be maintained between Interpeace and the NCIC and the wider Interpeace ECA programmes. Relationships will be focused on collaboration and collective engagement. support the Kenya Programme Coordinator in shaping the direction of Interpeace’s peacebuilding work in Kenya, noting the locally-owned and locally-driven nature of Interpeace’s work guided by the peacebuilding team and local partners. The programme officer shall show or immediately develop an understanding of Interpeace’s peacebuilding values and appreciate how this culture underpins our efforts in individual and institutional development. assist in preparing narrative reports, programmatic updates, and other project and programme-related inputs for peacebuilding programming, as required by the donor(s) and NCIC. help institutional capacity building of NCIC as well as support NCIC in joint peacebuilding initiatives in Kenya. be the key link between the Programme Coordinator (Nairobi) and the NCIC-Interpeace Peacebuilding Team in the field. S/he is responsible for ensuring that the Kenya Programme is run in a coherent, well-planned manner, and in line with the programme design as agreed by Interpeace, NCIC and donors. The post of the Programme Officer is based in Nairobi and involves frequent travel to the field. Key Roles and Responsibilities: Leadership responsibilities In coordination with the Programme Coordinator, support the following programmatic actions for sustainable delivery of Interpeace’s peacebuilding efforts in Kenya: 1. Implement the NCIC/Interpeace Mandera Peacebuilding Programme. This will be achieved through: Timely implementation of the programme Strengthening the peacebuilding capacity of the NCIC-Interpeace peacebuilding team Developing quality reporting and communicating programme outputs effectively Holding regular programme and Kenyan context updates and meetings with selected donors for high level engagements Having regular programme support group meetings 2. Sustain and expand NCIC/Interpeace Kenya Peacebuilding programme and expanding Interpeace’s networking in Kenya Play a lead role in the drafting of proposals seeking funding to support the Interpeace peacebuilding programme in Kenya. Identifying and engaging with new donors to bring them into ongoing programmes Support existing relations with key national and international actors in the region and strategically engage these actors in the work of Interpeace and NCIC Monitor activities and substantive contextual developments in Kenya and the neighbouring regions relevant for the Interpeace Programme and provide regular briefings to the Kenya programme coordinator. Participate in the discussions and mitigation of peace and security issues in Kenya with key government agencies and donors Specific responsibilities Ensure that all technical guidance and support is provided through Interpeace’s peacebuilding lens. This includes ensuring all processes are locally- owned and driven, and that technical solutions are not considered outside of the contextual realities and capacities of the societies Interpeace is supporting; Support the effective implementation of the programmatic, logistical and administrative functions, operations, and activities of the NCIC/Interpeace peacebuilding programme on the ground; Develop and nurture a clear understanding of the programme of work throughout the Interpeace Kenya Programme; Review written products including publications and donor reports of the Interpeace Kenya Programme and provide quality control, including coordination of tasks relating to content and quality as appropriate; Monitor activities and substantive contextual developments in Kenya and the neighbouring regions relevant for the NCIC/Interpeace Programme and coordinate regular briefings to Interpeace and the NCIC; actively participate in the reflection and linking of these to NCIC capacity building and technical support in pilot implementation. Communication and reporting Lead development of written products including concept notes, proposals, publications and workshop reports, providing quality control, including coordination of tasks relating to content and quality as appropriate; Maintain close liaison with Interpeace and NCIC team members to ensure that all are regularly briefed on all activities. Learning Identify and capture experiences, thematic competencies and process knowledge from the NCIC collaboration, including capacity building and implementation that can be shared with and incorporated into NCIC and Interpeace work in other programmes; Ensure that reflection and learning take place regularly with regards to the capacity building process including workshops, pilot implementation, methodological adaptations and any other relevant aspects of the work. Required Qualifications and Experience: Education Master’s degree in Post-Conflict Studies, Peacebuilding, International Relations, Political Science or a related field from an accredited academic institution with at least five years of relevant professional experience; or A first-level university degree in the above fields with at least seven years of relevant professional experience may be accepted in lieu of the advanced university degree. Experience Excellent capacity with proven knowledge and experience in proposal writing for major donor institutions like USAID, EU, DFID and other institutional donors Experience in business development and project management concepts (project development, Logical Framework design and analysis, monitoring & evaluation, reporting); Experience with post conflict recovery, community dialogue, peacebuilding, social reconciliation and cohesion and/or development interventions in conflict and/or post-conflict settings; Experience in liaising and building effective partnerships with donors, government authorities, other national/international institutions; Previous working experience in the Horn of Africa region; experience with community engagement in Kenya or Somalia would be an advantage. Languages Fluency in English is required. How to Apply: Please send your CV and a short motivation letter, with subject ‘Kenya Programme Officer’, to ECA@interpeace.org by 25th February 2017. Only short-listed candidates will be contacted. We’re on a mission to elevate the careers and livelihoods of millions of blue collar professionals, artisans, and other informal workers through the use of technology. Join us. ABOUT LYNK: Lynk is a startup which builds technology to connect blue collar workers in Kenya - from carpenters to cleaners - to jobs. In June 2017, we were awarded three of the four prizes by the Global Center for Youth Employment in NYC, for the most promising solution to youth unemployment globally. Our suite of products seeks to satisfy a breadth of consumer needs, which provide multiple channels to increased incomes for workers: Lynk Requests: A marketplace product enabling customers to request services in over 75 categories from cleaners, to masseuses, to plumbers, and tailors, and receive shortlisted bids. Lynk Discover: An e-commerce product enabling workers on the platform to sell ready-to-buy products or services. Byld: A tech-based platform for the recruitment and management of workers on large construction sites. ABOUT BYLD: Byld is new product being launched by Lynk, enabling employers to recruit and manage large amounts of workers on building and construction sites. It seeks to provide a career identity for workers, whose profiles grow over time through the jobs they do. Byld has the potential to increase the regularity of work and incomes for the millions of informal workers in the construction sector across Africa, while improving productivity for construction firms. The product has applicability beyond the construction sector too, and we have interest from a number of companies in using the underlying technology for the recruitment and management of day labourers. ABOUT THE CONSULTANCY: ​Lynk recently agreed on a partnership to pilot the Byld platform in Kenya, and is seeking a Consultant to spearhead the pilot, product development and business model. This consultancy has a high chance of transitioning into a fulltime role if the consultancy/pilots go well. CONSULTANCY ACTIVITIES: Recruit an assistant to support in consultancy activities. Work with Lynk’s in-house construction team to adapt the existing prototype for practical rollout Work with engineering team to develop live app v1: Based on feedback from above, ensure that app v1 contains the right features & UX. Test App on Lynk-managed construction sites, and iterate. Lead partnership with partner(s) to adapt Byld product for external partnerships. Design & manage partner pilot: Design modality for pilot & questions to answer. Oversee the on-the-ground piloting, which maintain strong partnerships with the pilot partner while providing valuable insights into the product. App enhancement: Based off pilot(s), work with engineering team to implement adjustments to the app for change. Business model development: Flesh out business model canvas and propose pricing and operational model for Byld product. Relationship mapping & development: Identify further partnerships to grow the Byld initiative. COMPENSATION: The consultant will be paid on a monthly basis at a fixed rate commensurate with experience. IDEAL CANDIDATE SHOULD POSSESS THE FOLLOWING QUALIFICATIONS: MBA (or related field: Social Enterprise, Human-Centered Design, etc.). Entrepreneurial personality / self-starter – able to take responsibility and undertake tasks with minimal supervision. Experience conducting market research, product design, and/or business modeling in Kenya. Excellent writing and presentation skills. Knowledge of construction sector a major plus. Flexible work attitude: ability to multi-task in a fast-paced and quickly evolving work environment.